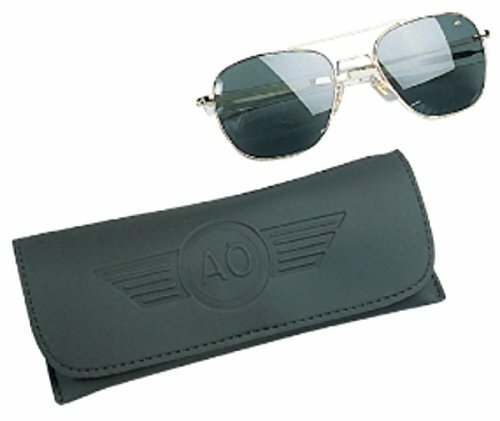 These are the official, Genuine Air Force sunglasses from American Optics, the leading supplier to the U.S. government. The polarized lenses are scratch-resistant true color glass, meaning the grey lenses do not distort the colors you see through them. They also offer 100% UV protection, protecting your eyes from the sun's harmful rays. As you can see, the ear pieces are bayonet style. This listing is for a 52mm frame. Available in your choice of gold, black or chrome frames. Ships with the black case you see pictured.